You are invited to visit us at the Geo-Convention at the Calgary Convention Centre at booth #550. In the past 15 years United has consistently managed to improve well placements in sweet spots while reducing doglegs and drilling issues. 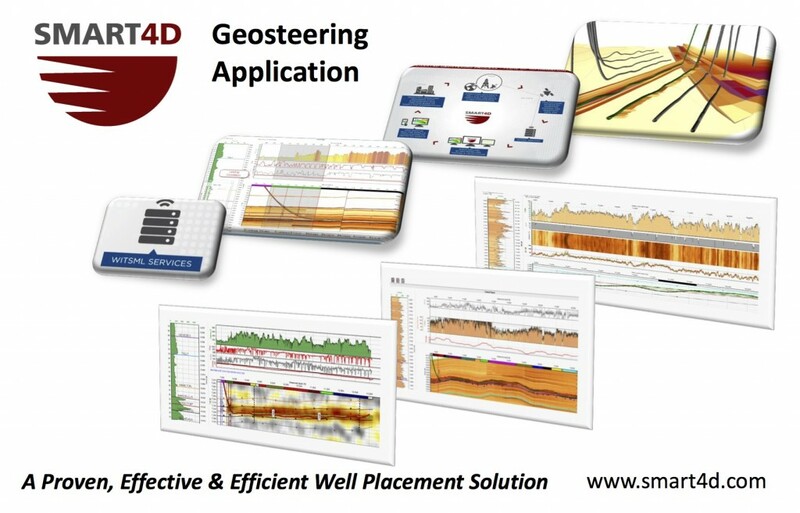 Producers can now run the Application for their geosteering teams and view active real-time geology and drilling for a better geosteering experience. You can check it out at www.smart4d.com or arrange for an in-house demo or a GoTo Meeting. The 3D models are easy to build and update on the fly, allowing you to forward model dip, thickness and properties ahead of the bit. While-drilling, a well-designed Target Planner measures DLS before setting targets in the newly 3D mapped sweet spot. Intuitive correlation tools and easy to read shared, live SMART4D Panels can be accessed from browsers (desktop and mobile) and Windows computers. AutomatedWITSML connectivity for streaming rig data saves time and team communication tools are built in. 3D Visualization, Imaging of Azimuthal data, dip calculation, seismic integration, and digitizers are some of the other features of the software. SMART4D is easy to learn, and in the past year United has accelerated R&D of the software. Clients love the feel of the software and what it does for them in several plays such as the Montney and the Permian. We welcome you to contact us to see how and why this must-have software can play an important role in your drilling optimization and efficiency.